Grand Ridge Golf Club 500 Willowdale Blvd. 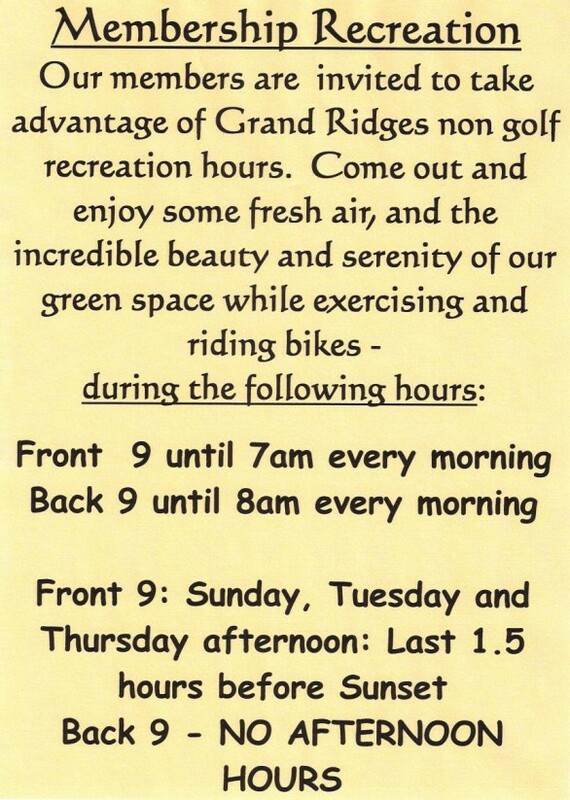 Our members are invited to take advantage of Grand Ridge’s non-golf recreation hours. Come out and enjoy some fresh air, and the incredible beauty and serenity of our green space while exercising and riding bikes.